As a comedic director, Christopher Guest is known for surrounding himself with a group of offbeat improvisers that give his films a realistic but hilarious edge. This troupe of actors come back, movie after movie, to lend their special touch. That fact makes his films the best place to see some of Hollywood’s top comedic character actors in lead roles. While everyone knows names like Canada’s Eugene Levy and Catherine O’Hara, we thought we’d highlight ten other actors who shine in the films of Christopher Guest. Uninhibited characters who don’t quite understand what’s going on around them. Boston-born Coolidge trained in theatre but got her comedic start with the L.A. sketch troupe The Groundlings. Coolidge started out with many famous faces, she even served at a restaurant where Sandra Bullock was the host, but she didn’t get her big break until she was in her late 30s. This leaves her filmography, especially in the 90s, full of small and unexpected guest roles. She has a Teen Choice Award for “Choice Movie Sleazebag” thanks to her villainous role in A Cinderella Story. She first showed up as Jerry’s masseuse girlfriend in Seinfeld but her career didn’t take off until she was Stifler’s Mom in American Pie. Irascible, snooty dorks just waiting to lose it. Michael Hitchcock credits many of his character choices with growing up in the idiosyncratic American Midwest. Another Groundlings alumni, Hitchcock began his Hollywood career primarily as a screenwriter on 90s films like Problem Child 3, House Arrest and Where The Day Takes You. His fellow Groundlings got him involved at MADtv as a writer and producer and he went on to do the same for Glee and Crazy Ex-Girlfriend, as well as performing bit parts in both shows. Most people first saw Michael Hitchcock thanks to Guest in Waiting for Guffman (1996). Parker Posey (left) and Michael Hitchcock (right) in Best in Show (2000). Confident, loud doofuses with a song in their heart. Higgins has been a lifelong theatre actor, starting as a kid in D.C. then moving to the New York. He taught theatre and appeared on stage for about 15 years before he booked his first on screen role. Higgins says he’s shocked his Hollywood career turned into mostly comedy because he never had that background. He has never had a job that didn’t involve acting or teaching acting and he often uses that theatre training to create vocal arrangements for his roles. He has a voice acting award for his work on The Legend of Korra. Portraying David Letterman in the hot button HBO docudrama The Late Shift (1996). 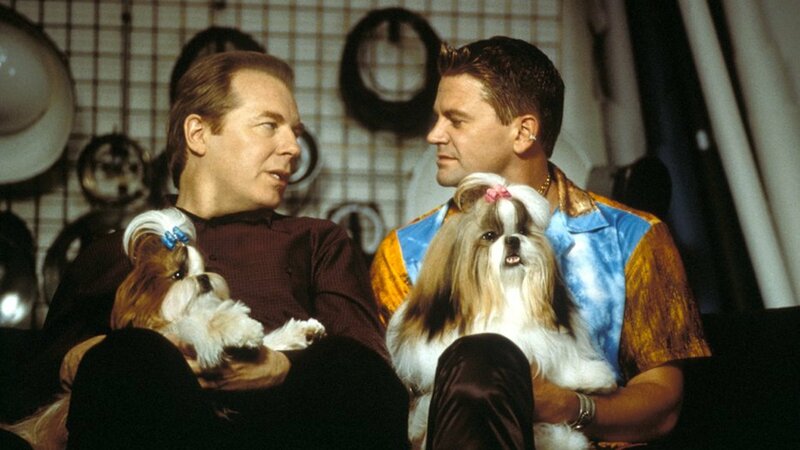 Michael McKean (left) and John Michael Higgins (right) in Best in Show (2000). Don Lake did the reverse of most Canadian actors’ journeys and trained in L.A., but moved back to Toronto to work with Second City during the 80s comedy boom. He struck while the iron was hot got a job as a regular on Bizarre, forever aligning him with the “Super Dave Osborne” brand and building his profile. His career got another boost when he began frequently collaborating with Bonnie Hunt (another Second City Alumni) as an actor and writer on tv shows like Life With Bonnie and movies like Return To Me. Terminator 2: Judgement Day (1991), Wagons East (1994) you may also have heard his voice in things like Pepper Ann and Zootopia. In many ways, as the daughter of famed opera singer Maureen Forrester, Kash is Canadian performing royalty. She also came up through Second City and turned her award-winning abilities on the main stage into opportunities on short-lived but influential sketch tv shows like The Comedy Mill and She TV. Since then she has become a supporting player in over 100 comedies ranging from Seinfeld to Ernest movies to Made In Canada. Though not her first role, Canadians will likely remember Kash most from her role as the Philadelphia Cream Cheese Angel in the massively popular commercial series. 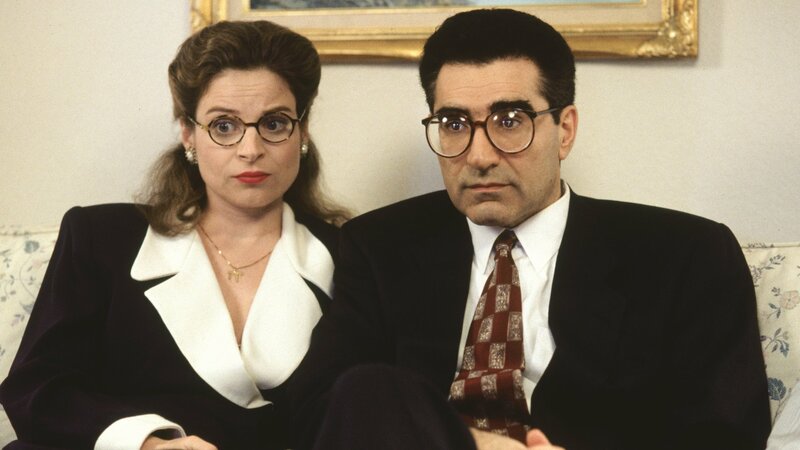 Linda Kash (left) and Eugene Levy (right) in Waiting for Guffman (1996). Man of The Year, Fargo Season 3 and you’ve heard her voice in things like Dumb Bunnies and Scaredy Squirrel. Goofy scoundrels who almost manage to sneak their weirdness by you. Willard is one of the senior voices in Guest’s troupe, getting his start on film in the 1960s with a role in the infamous exploitation film Teenage Mother. He came up through The Second City in Chicago and shared the stage with the likes of David Steinberg and Robert Klein. His early sketch troop Ace Trucking Company appeared regularly on The Tonight Show with Johnny Carson and talk/variety shows throughout the 60s and 70s. Interestingly he won a Daytime Emmy for a guest role on The Bold and The Beautiful in 2015. Though he was a known commodity before, the groundbreaking cult comedic talk show Fernwood 2 Night established Willard’s unique gifts as a performer. Jane Lynch (left) and Fred Willard (right) in For Your Consideration (2006). Anchorman: The Legend of Ron Burgundy (2004), Silver Streak (1976), Roxanne (1987) and on TV shows like Everybody Loves Raymond and Modern Family. The lone, straight-laced Brit in otherwise American productions. Piddock comes from theatre, starting on stage in England before making his way to America and making a splash in the one man show The Boy’s Own Story. He transitioned into TV with regular sitcom appearances that continue to this day. 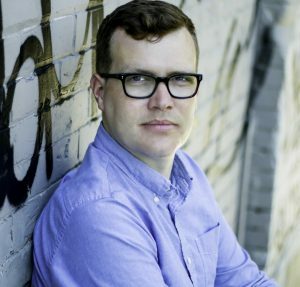 Piddock also works as a screenwriter on comedies like Tooth Fairy (2010) and The Man (2005) as well as co-writing Christopher Guest’s last two productions. 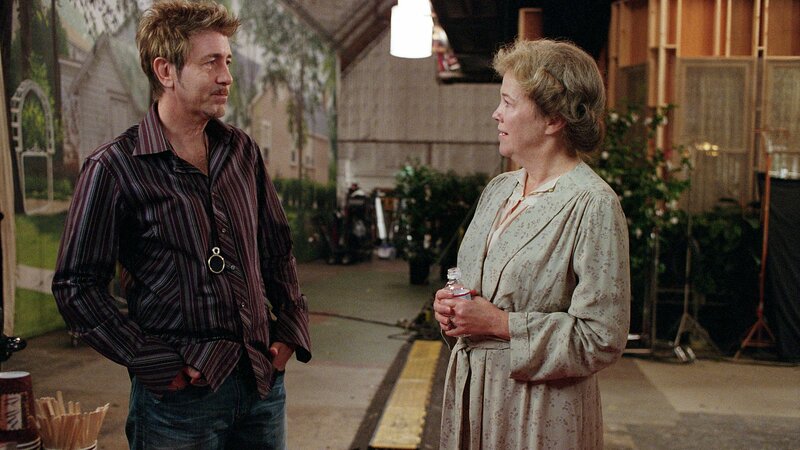 Jim Piddock (left) and Catherine O'Hara (right) in For Your Consideration (2006). The Tracey Ullman Show, Mad About You, Independence Day (1996), The Five Year Engagement (2012). Born in L.A., Shearer was a star from a young age appearing in everything from Abbott and Costello movies to The Jack Benny Program. He moved on to radio comedy for almost a decade with fellow Guest actor Michael McKean and learned a lot from famed Looney Toons voice actor Mel Blanc. He has an Emmy for his voice work on The Simpsons. Shearer probably first became a household face as an adult on the 1979 season of Saturday Night Live. 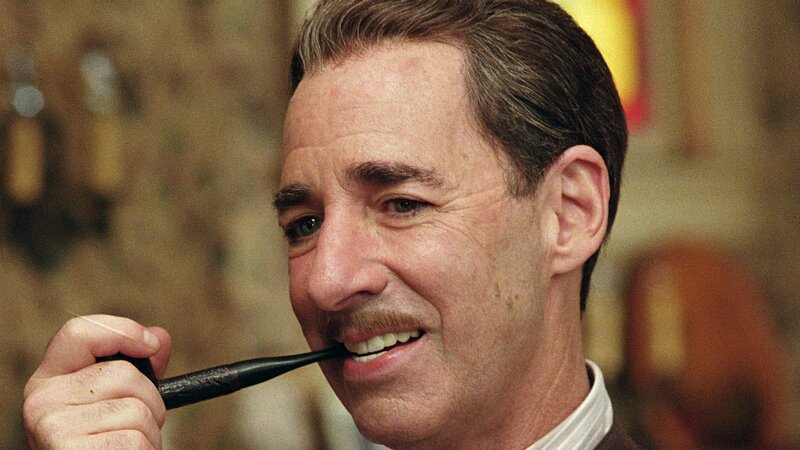 Most of the English-speaking world knows Shearer’s voice best as Ned Flanders, Mr. Burns, Principal Skinner and many more characters on The Simpsons but his face appears in Wayne’s World 2 (1993), My Best Friend’s Wedding (1997) and The Truman Show (1998). Balaban is more entertainment royalty with an acting mother, an uncle who was the president of Paramount Pictures for almost 30 years and a father who both managed the mega-theatre chain of theatres in the midwest and also had a hand in pioneering pay cable tv. He got his big break off broadway originating the role of Linus in You’re A Good Man Charlie Brown. Throughout the 70s he established himself as a ‘That Guy’ character actor but by the 80s he was also a writer/producer of comedic horror classics Parents (1989) and My Boyfriend’s Back (1993). He was nominated for an Oscar for producing Gosford Park (2001) which he also starred in and contributed the original story for. You might be surprised to see a young Bob Balaban show up in Midnight Cowboy (1969). 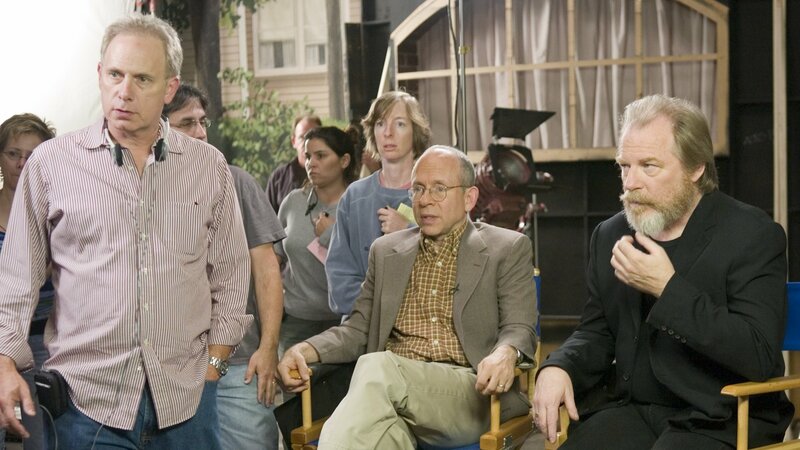 Christopher Guest (left), Bob Balaban (centre), and Michael McKean (right) on the set of For Your Consideration (2006). Close Encounters of The Third Kind (1977), Capote (2005), Altered States (1980) and Lady in The Water (2006). Catch Best in Show and For Your Consideration this November on Hollywood Suite On Demand and HSGO!